Stephanie began running in 2013 to check something off her bucket list: completing a half marathon. When she started training for the event, she wasn‘t a regular runner and didn’t really enjoy the sport...but once she finished that race, she was hooked! For quite some time, running became an activity that Stephanie enjoyed doing with her husband. 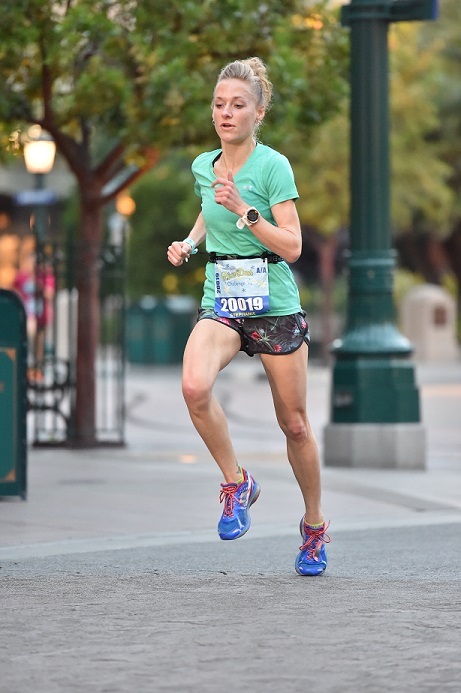 As her times have improved and her skills have changed, running has become a way for Stephanie to challenge herself and push my limits (particularly when having to combat the mental and physical challenges associated with a training injury that put her out for several months last year). Stephanie truly loves the running community and is passionate about all that it entails! She has qualified for the Boston and NYC Marathons for 2018. Stephanie is also considering expanding her racing distances (contemplating ultras) or even adding to her limited triathlon career by training for an Ironman. She is also excited to incorporate her 9-year old daughter into the sport and help her set running goals!